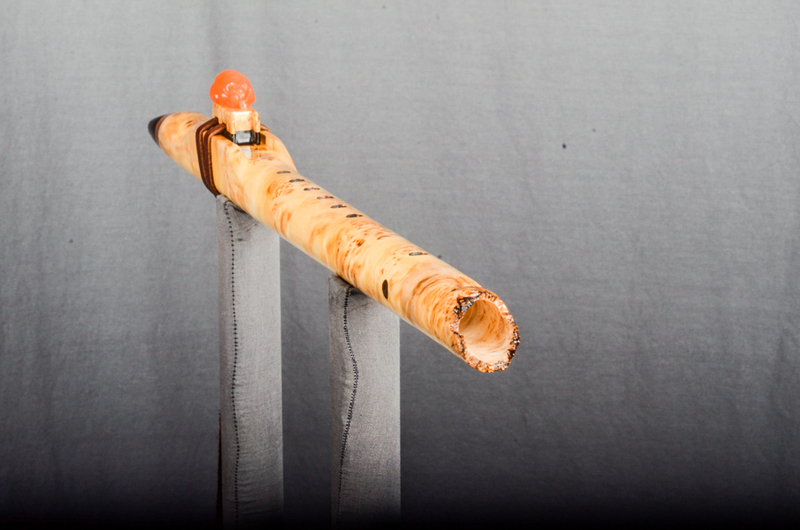 (N25A) Pitch: Mid A - 4 Scale: Minor - SOLD! 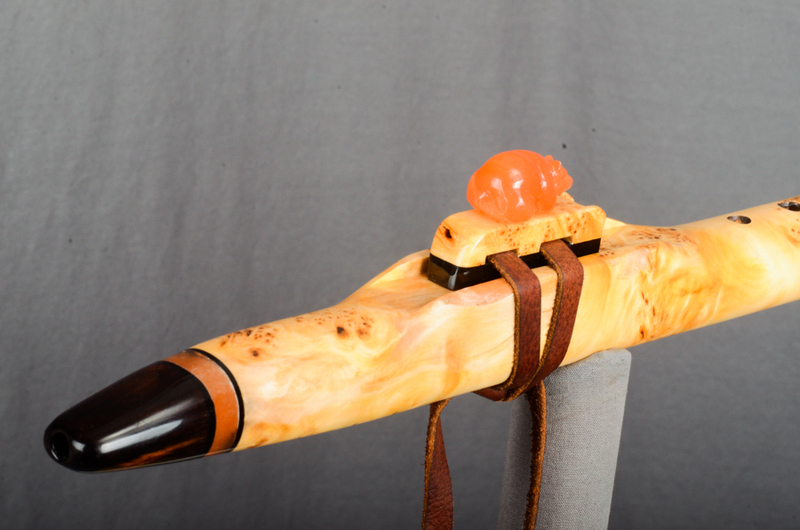 Yellow Cedar Burl is a very rare wood. 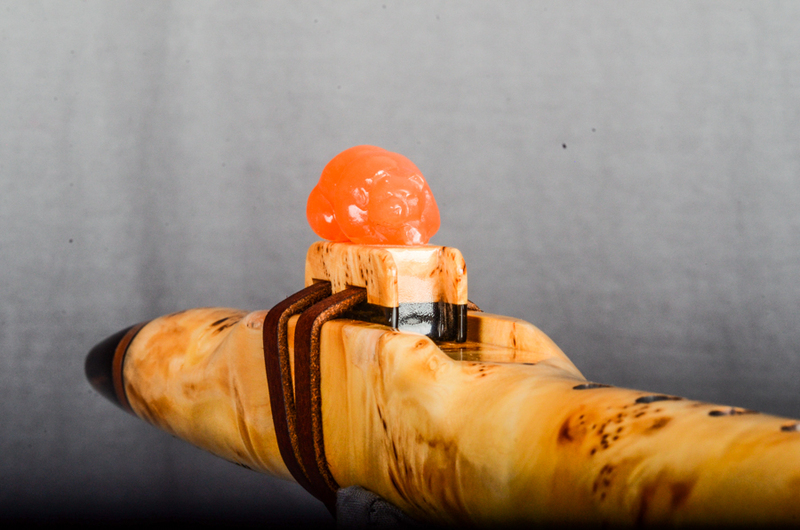 There is lots of plain Yellow Cedar, but to get the Burl is extremely hard. 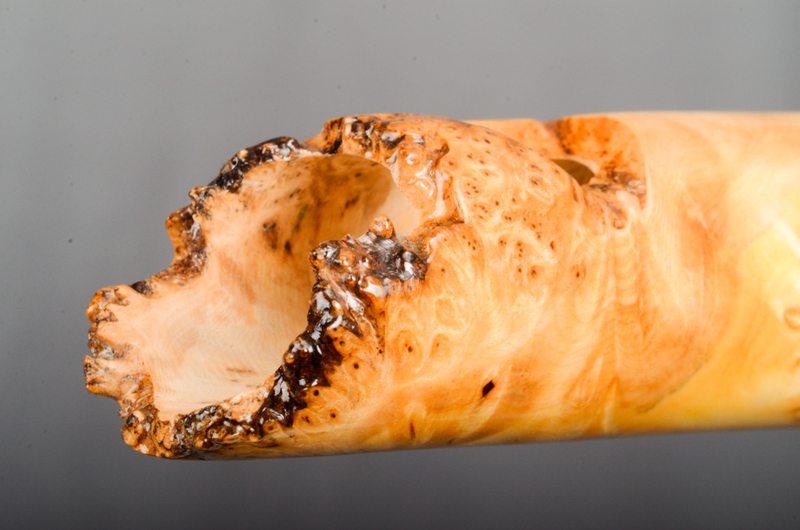 The wood has an aroma that is simply amazing! 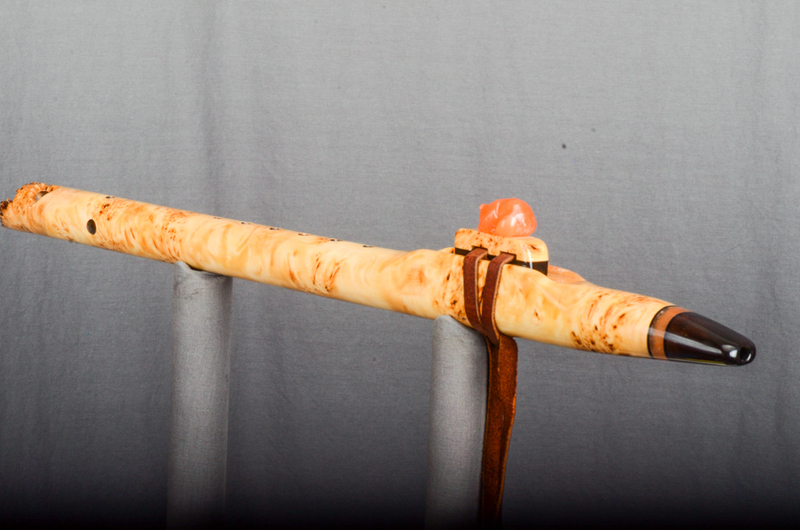 As you play the flute, the aroma fills the room. 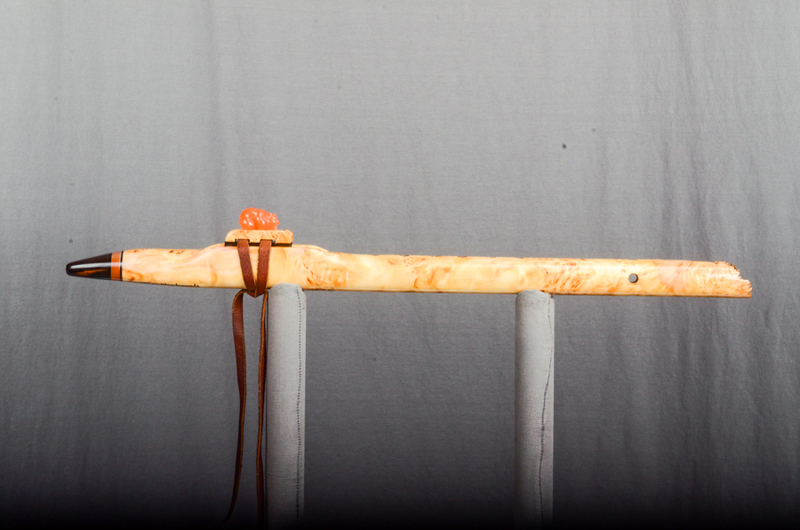 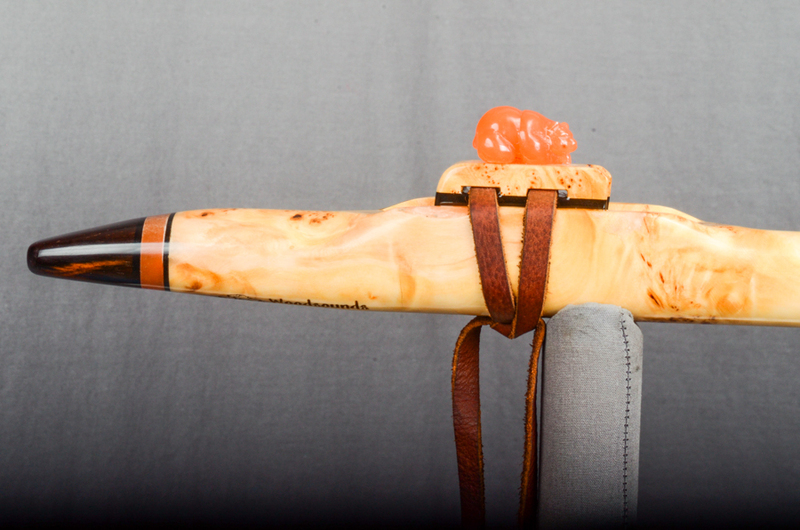 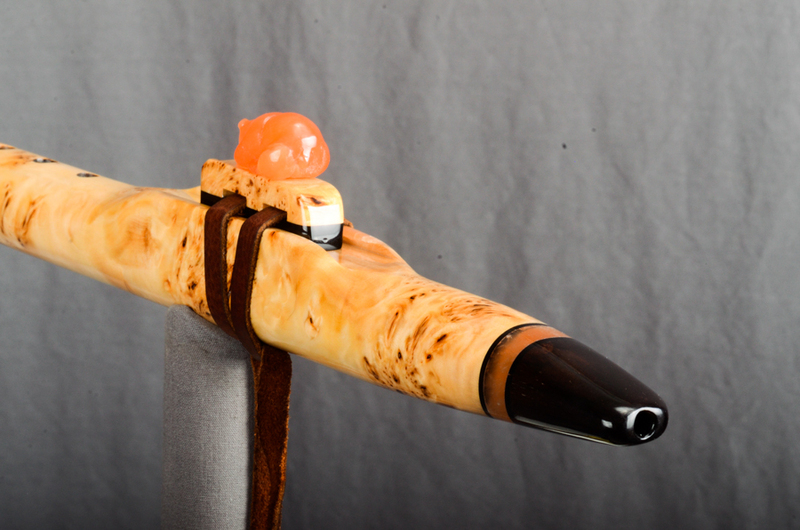 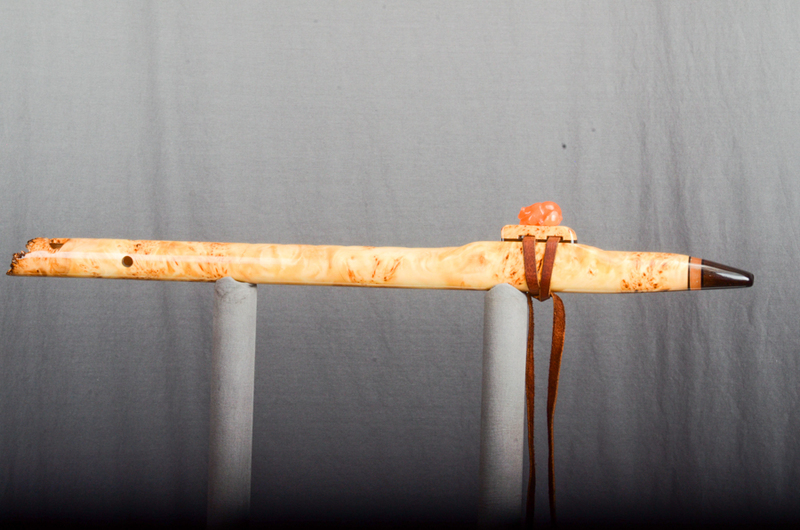 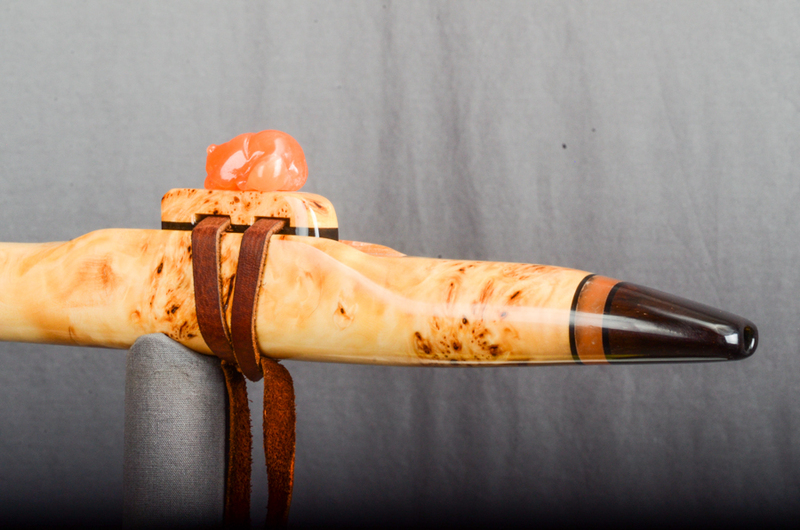 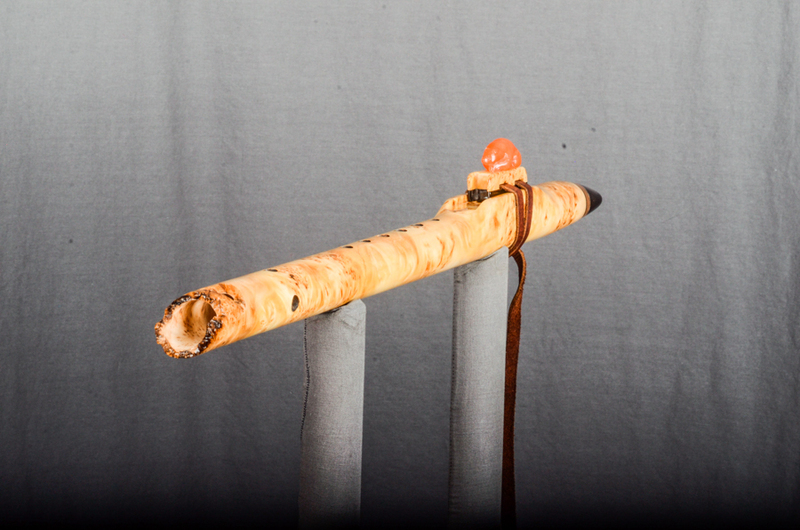 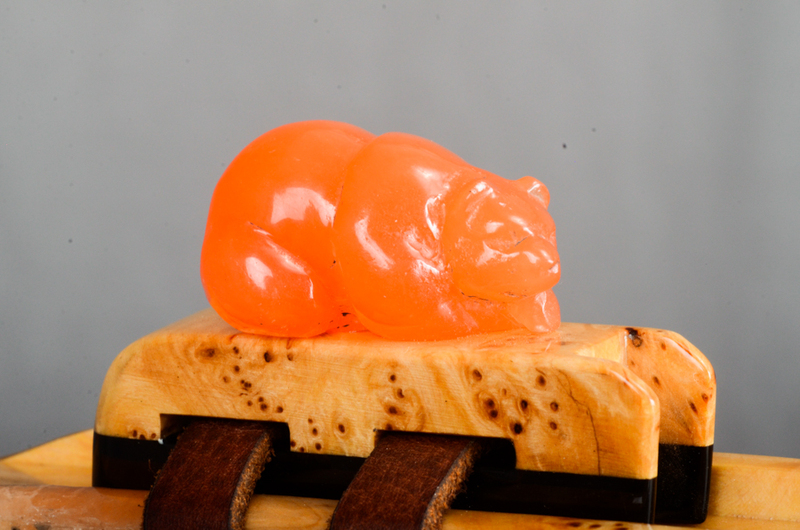 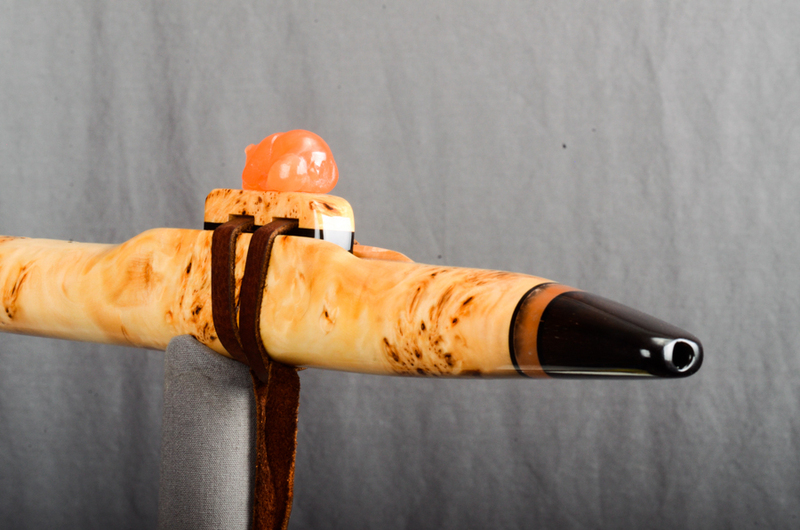 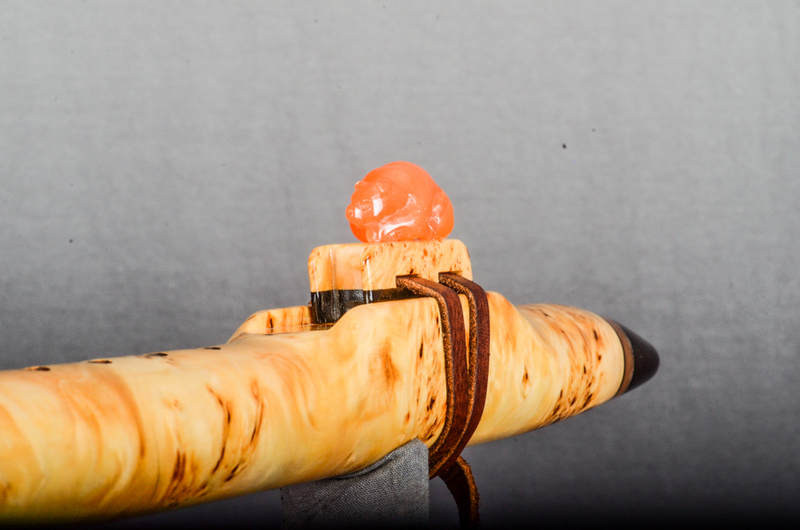 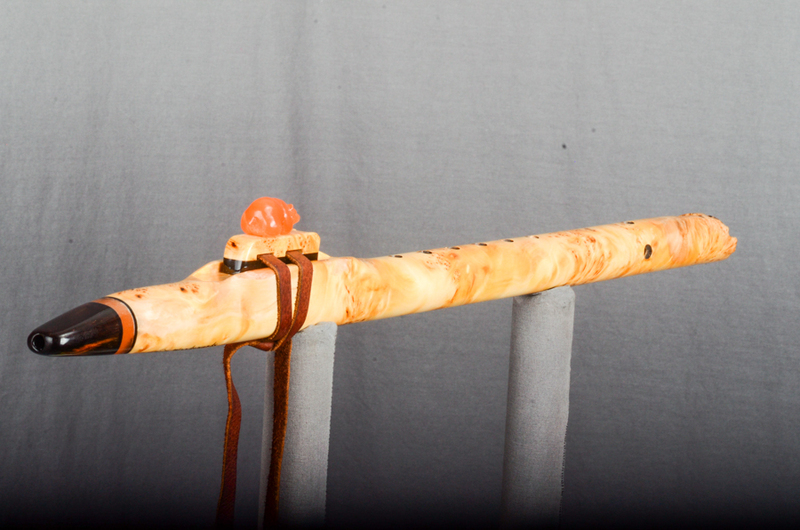 Typically, the flutes from Yellow Cedar Burl are very smooth and very resonant. 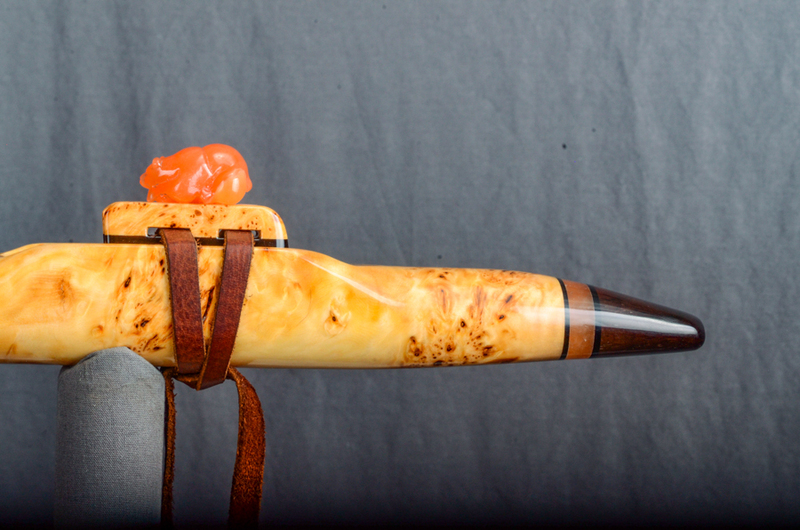 It is one of my favorite woods.